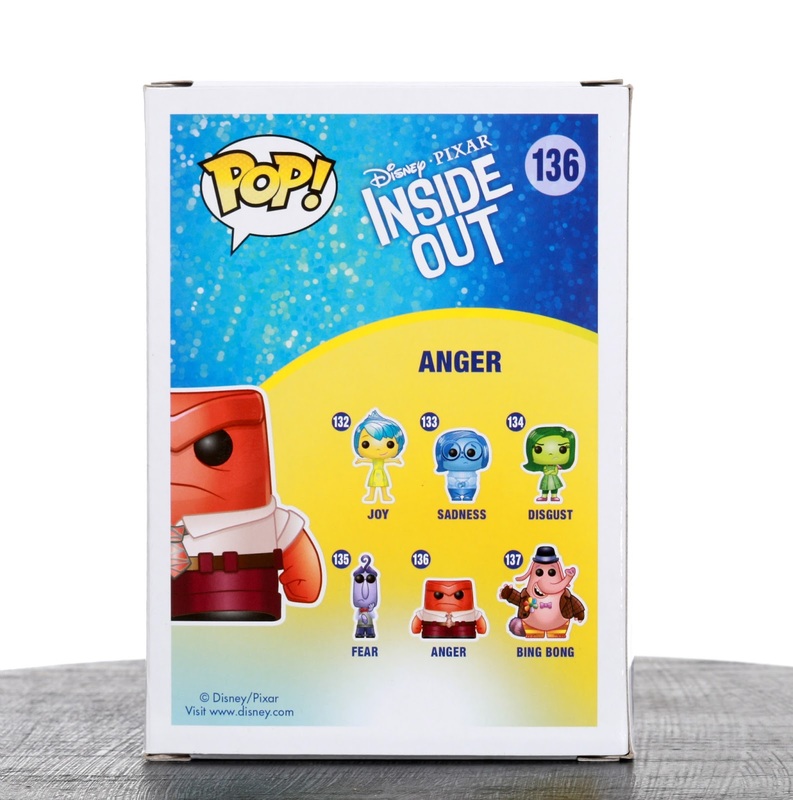 In the spring of last year, Funko released this Disney·Pixar Inside Out inspired "Crystal" variant Anger "POP!" vinyl figure sold exclusively through the site Entertainment Earth. I collected the entire Inside Out Funko collection back in 2015 (including the Hot Topic Clear Bing Bong and Convention exclusives), but never necessarily planned on picking up this one. That changed when I happened to stumble upon this one at my local FYE store just a few days ago (which is cool—I wasn't aware they could sell online, in this case EE, exclusives). Even though I hadn't sought after this Anger, the fact that it was just right there at my fingertips made it pretty irresistible. I went for it! At least I can say my Inside Out Funko collection is actually complete now. 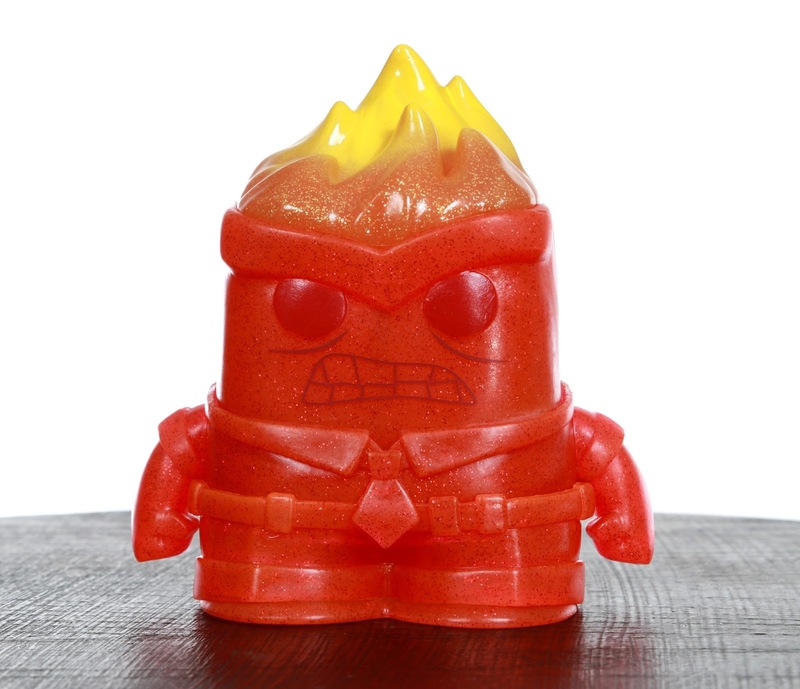 This variant, like the 2015 convention exclusive Anger with flames (of which this uses the same mold), keeps the exact same packaging design and number (#136) of the original standard release of Anger. The only change to the box itself is the addition of the yellow "Entertainment Earth Exclusive" sticker on the front window. The figure itself is admittedly pretty neat looking. 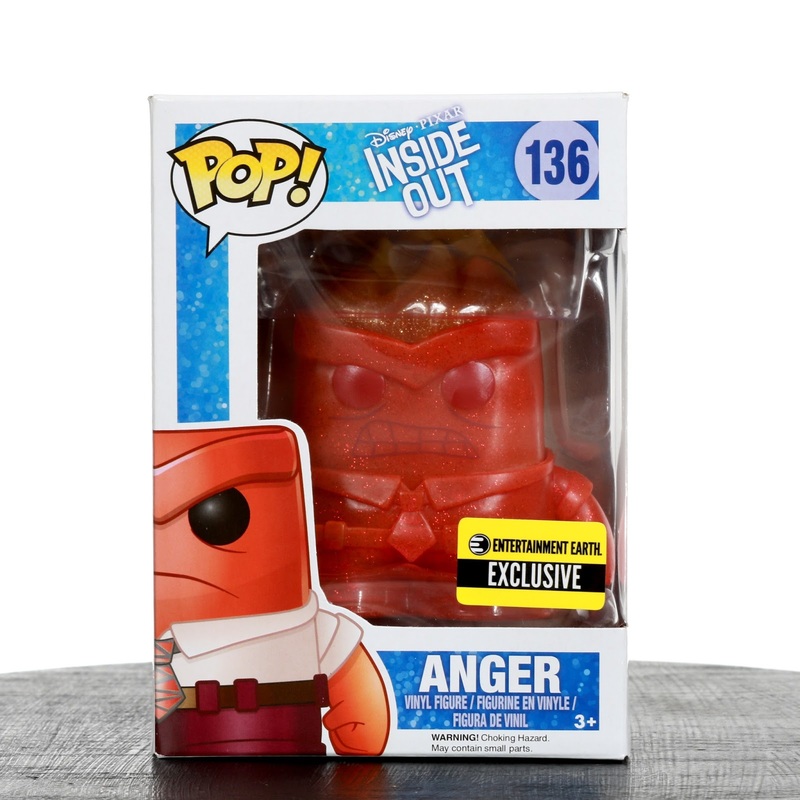 Anger stands at [right around] the standard POP! 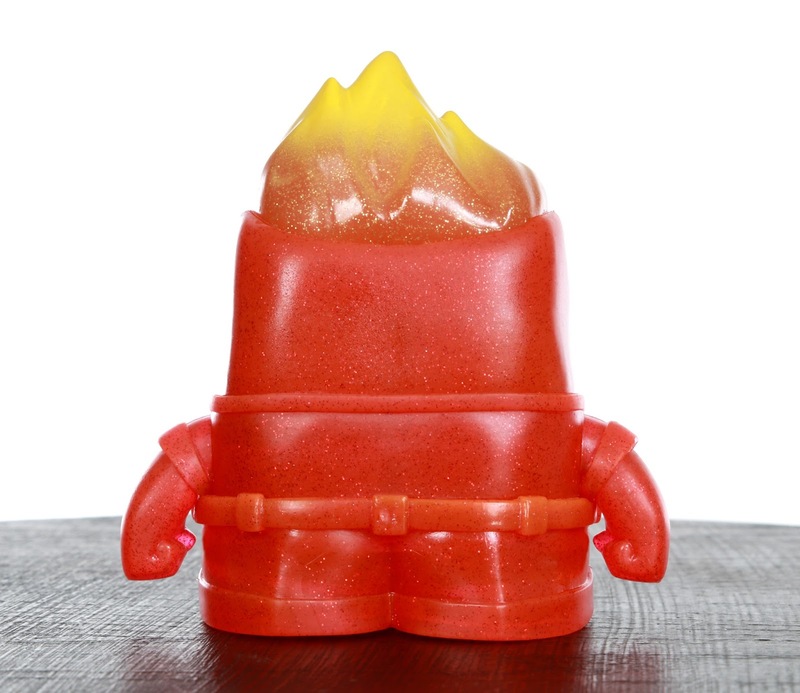 height of 3 3/4" tall and features a deep "crystal" red, semi-translucent vinyl casting with glitter undertones. If you're a Funko POP! collector and/or an overall fan of the film Inside Out, this might be a piece you'll want to track down. As you can see, it's actually very cool and unique looking! The only reason I was personally hesitant about getting it was because I already have two other Anger POPs. Other than that, I really like it and I'm glad I went for it. Luckily, despite it being a "sold out" exclusive and "limited release", this one never went rare (in fact, it's only gotten cheaper with time). It's still very easy to find on eBay HERE or Amazon using the direct link below. Guest on the Disney Pins Blog Podcast!